Ah! 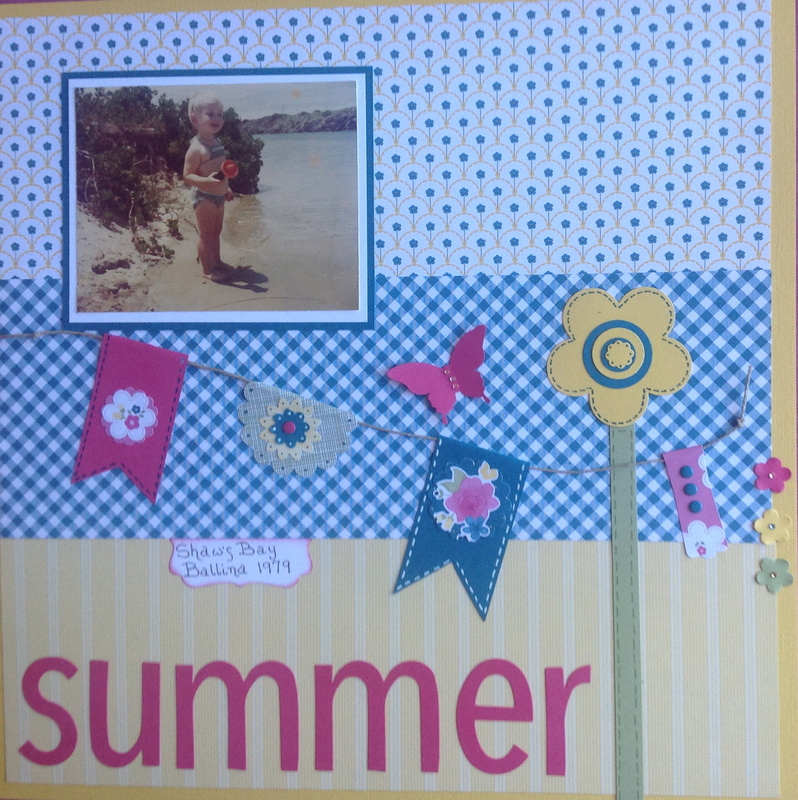 Time to scrap………..at last! Anyhooooo, I’ve unearthed some old very dodgy photos and since they are precious images I’ve decided they are worth preserving and begun to scrap them. This one is our daughter, Aedita, when she was about 3 years old. The photo is taken at Shaw’s Bay in Ballina which was a fave place when the children were small. Don’t these colors scream Summer??? The DSP is from Stampin’Up!’s Gingham Garden and the colors in this paper series that I’ve used for the flower and flags are: Melon Mambo, Island Indigo and Daffodil Delight. My classes have all finished for the year and I’m now taking a well earned rest. The last order for the year will be going in shortly so if you are wanting anything, please call or email asap. However you celebrate may you enjoy this Christmas period with those that you love. Thank you for visiting me in 2013 (and previous years) look forward to doing it all again in 2014. God bless and please take care of yourself and each other. At the end of the day we are all we have.